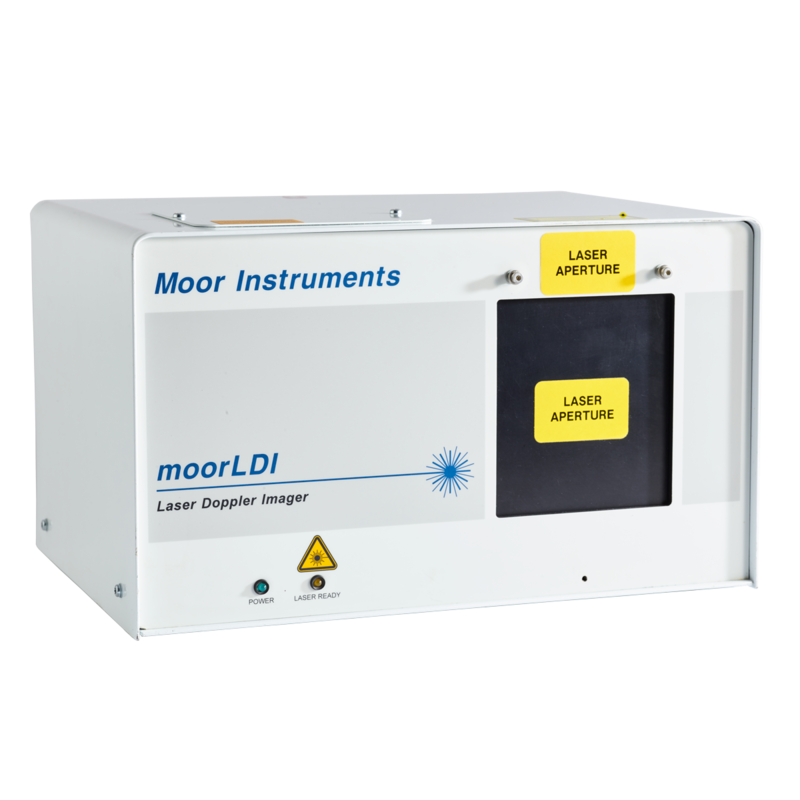 This system has now been superseded by the moorLDI2, for full details please click here. The moorLDI is suited to a wide range of clinical and research applications, from large area to close, high resolution imaging. Most can take advantage of the fast scan mode and slower modes are available for ischaemic conditions. User-friendly software for image processing and analysis simplifies the extensive feature of the moorLDI system. Non-contact – measurement obtained by scanning a lower power laser beam across the tissue. Daylight operation – the unique optical design enables use even in high ambient room lighting. Large scan range – 5cm x 5cm at 20cm distance, 50cm x 50cm at 100cm and all rectangular aspects within these dimensions. High resolution – 256 x 256 measurements maximum, 0.2mm to 2.0mm per pixel. Windows Software – for user friendly control, image processing and analysis.